The 2011 Impreza is a great choice for those looking for a reliable and capable compact car. The all-wheel-drive drivetrain provides secure handling in nearly all road and weather conditions, potentially a must-have for those living in less temperate climates. 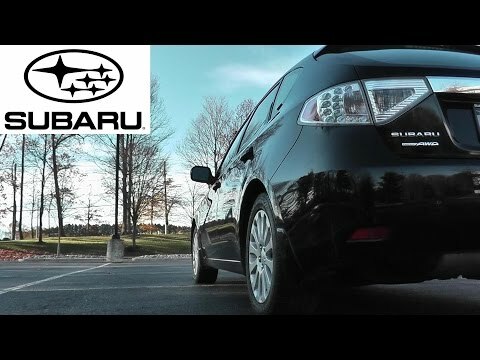 The Subaru Impreza is an affordable, reliable car that fits in anyone's lifestyle. My Subaru Impreza has been a very reliable vehicle, I've only had to replace the battery in it and that wasn't until after owning it for 6 years which is normal for any vehicle. I live in an area that gets pretty severe weather in the winter, I've never had any trouble getting anywhere despite the snow and ice we get here. The heated seats and windshield are a godsend during our rough winters! So is the super fast cooling air conditioning during the summer! It has great trunk space and a roomy backseat yet it's the size of an average car and very easy to parallel park and park in parking garages. Life saver but getting old and worn. I like my car for the safety if offers me. But after owning it now for 7 years it is starting to show signs of wear and tear. What I love most is the manual transmission something that is very hard to come by these days. The body is outdated in terms of style. But overall this car has been very faithful to me and saved my life during a very bad accident. I actually should love it more than I do for that reason alone:). The car for the all terrain commuter. This car is pretty good on gas. I have all of the trunk space that I need! (I am constantly on the go, so I keep a lot of gear in my car). There's also plenty of leg room for myself and passengers. (Front and back). Subaru's are excellent in the snow. I work on a mountain in Vermont and never have issues getting to and from the mountain. 10 Out of 10- definitely recommend any Subaru!